We’ve all seen those Corona commercials where two faceless beach-goers crack open Coronas on lawn chairs in (clearly Photoshopped) sandy, tropical paradise. They’re basically saying “take a sip of this beer and be transported to the beaches of Mexico!” However, Corona isn’t the ONLY Mexican beer that can make you suddenly on a vacation south of the border – there are many others to choose from! 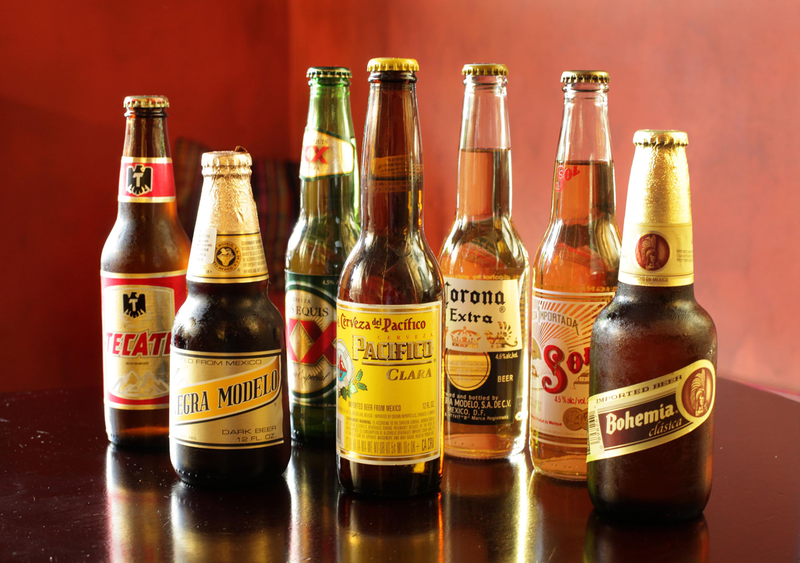 Here are Rockin’ Baja’s favorite Mexican beers – which will YOU order? 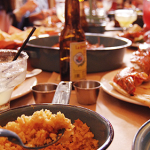 Yep – the most famous Mexican beer is actually in 5th place in our book! Of course it’s light and refreshing, but our favorite way to drink the popular lager is flipped upside down in one of Rockin’ Baja’s favorite drinks: the Margarona! If you normally love a bottle of Corona, we recommend trying out a Dos Equis Lager. Like a Corona, Dos Equis Lager is light and thirst-quenching, but has a bit more flavor, and since it’s on tap you’ll get it in an ice cold mug with a perfect foam head. Delicioso! Slightly heavier than the lagers above, Pacifico is a pilsner-style beer served usually in a bottle. It’s got a little more flavor and goes perfectly with just about anything on Rockin’ Baja’s menu – especially a plate of grilled fish tacos. Our favorite Mexican beer is (drumroll please!) Dos Equis Amber! A Vienna-style amber colored-lager beer, Dos Equis Amber is the perfect beer for lager-lovers who are looking to try something new, or heavy-beer drinkers who want something a bit less heavy to accompany a meal. Next time you head over to Rockin’ Baja before a night out or Padres game, give Dos Equis Amber a whirl. It’s what the Most Interesting Man in the World would do, after all ;)! 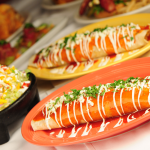 We hope you’ll come down to Rockin’ Baja Coastal Cantina soon and try a new Mexican beer from our list of favorites! Psst – Don’t see anything you love? We also have Bohemia and Carta Blanca, as well as domestics and even some local craft brews. Cheers!